Paul grew up on a farm and is the fourth generation of a family that derived their livelihood from farming. He is a Lutheran minister, a lobbyist, educator and Co-Director for the Faith Action Network , working on public policy issues which affect food and farming systems. He is involved in numerous religious, community and food and farming groups in the state. Paul first became involved in the Pike Place Market/PDA and direct marketing efforts in the 1970’s. He has worked for the King County farmland preservation campaign (Prop. One), and has been involved in food and farming issues wherever he has lived or worked. Chris served as the Director WSU Center for Sustaining Agriculture and Natural Resources from 1999 until his retirement in 2008. Prior to his work as CSANR Director he worked for WSU Extension as a water quality coordinator from 1987-93 and was WSU Extension Liaison to EPA Region 10 1993-99. His interest in agriculture stemmed from his experience as a Peace Corps Volunteer in the Philippines. He brings to the board his strong knowledge of Washington agriculture and WSU, and his passionate interest in a fair and sustainable food system. Anne, MSW, has worked at Antioch University for over 30 years, in both faculty and administrative positions, teaching interdisciplinary courses reflecting her interests and experience with women’s issues, community organizing, diversity, and lifelong learning. She served as Lead Faculty of the First People’s Program at the Muckleshoot Tribal College and of the Tulalip Tribes Human Services Program. She left Antioch University in July 2015 to pursue other interests including mediation and non-profit consulting. Previously a board member with the Community Foundation for the Coupeville Public Schools, Women’s Funding Alliance and Consejo Counseling and Referral Service, Anne lives near Ebey’s Prairie in Coupeville, where she is involved in developing a Farm to School program in the local school district. Ethan was the co-founder and executive director of Viva Farms, a farm incubator that helps Latino farmworkers become farm owners. Ethan won top awards at the 2011 Seattle Social Innovation Fast Pitch. He was also the founder and executive director of GrowFood.org and was a founding team member of a successful technology start-up gift card industry. He was director of major gifts and grants for Climate Solutions from 2007-2009. Ethan grew up on a hay and tree farm in Northern Idaho and holds an MBA from Pinchot University. Jae Easterbrooks focuses on financing healthy food system companies, non-profits, and renewable energy projects for Beneficial State Bank, a mission-focused community bank lending to sustainably operated companies on the West Coast of the United States. Jae has worked for the past twenty-five years in Seattle's commercial and investment banking industries providing millions of dollars of debt and equity capital to growing businesses. His financings include projects within the organic agriculture, biomass, small-hydro, and affordable housing industries. He takes a special interest in applying renewable energy to growing rural agriculture businesses to lower grower costs and carbon release at the same time. When he's not working to close financing for sustainably run businesses, he's probably on a mountain trail someplace exploring the beautiful Pacific Northwest. 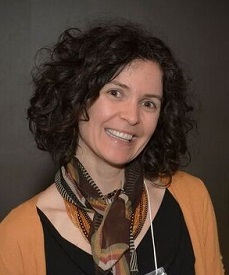 Danni is an Associate Professor of Food & Nutrition at Seattle Pacific University, where she directs the student-led Community Kitchen program and leads a bi-annual study abroad program in Sustainable Food Production and the Mediterranean Diet & Lifestyle in Italy. She is interested in how what we eat, how we eat it, and how we produce it influences human and environmental health. Prior to moving to Seattle, she worked for the General Mills Bell Institute of Health & Nutrition. Danni grew up in Sofia, Bulgaria. She is a bike commuter and regularly hikes, backpacks, snowshoes, swims, and does yoga. She loves to cook and travel. Tim is the Farm Manager at Ralph’s Greenhouse, a 300-acre organic vegetable farm in the Skagit Valley, where he has worked since 2003. He also serves as Vice President of the Board of Directors for the Puget Sound Food Hub, and in the past decade he has been a conference presenter for the Tilth Producers of Washington, a class presenter for the WSU Cultivating Success course, a workshop facilitator with the Northwest Farmer to Farmer Exchange, and a member of the Mt Vernon Nutrition Advisory Group. When he’s not at work stuck in the mud or stuck on the phone, Tim enjoys reading, alpine climbing, backcountry skiing, sea kayaking, and traveling with family and friends.